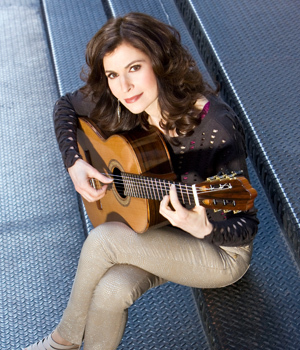 Sharon Isbin dazzles in Villa-Lobos’ brilliant Guitar Concerto. Infused with Brazilian folk songs, this musical kaleidoscope of orchestral colors is the shimmering centerpiece of a program that dances across time. Brimming with syncopation, Kodály's gypsy laced Dances of Galánta sets the stage for Liszt's intoxicating and dreamlike Mephisto Waltz. Leonard Bernstein leads us on an emotional journey through an infectious mambo, flirtatious cha-cha and a terrifying rumble before coming to a heart-tugging conclusion, aching with love and longing, in the Symphonic Dances from West Side Story.